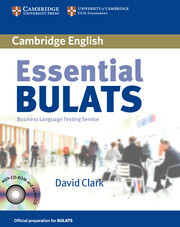 Essential BULATS is for anyone preparing to take the BULATS test (Business Language Testing Service) and can be used at home or in class. The book is organised by paper type and covers all parts of the BULATS test. Practice material prepares students for each part of the test, and this is followed by a sample practice test section from Cambridge ESOL which offers the most authentic test preparation available. 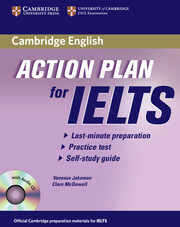 Covers the Standard Test, the Writing Test and the Speaking Test. The free CD-ROM provides an introduction to the Computer Based Test. The material is short, making it easy for students to fit study around their busy schedules. A full answer key is included so students can check their answers.